The Outer Banks Voice featured our recently completed KDH Public Works Project. 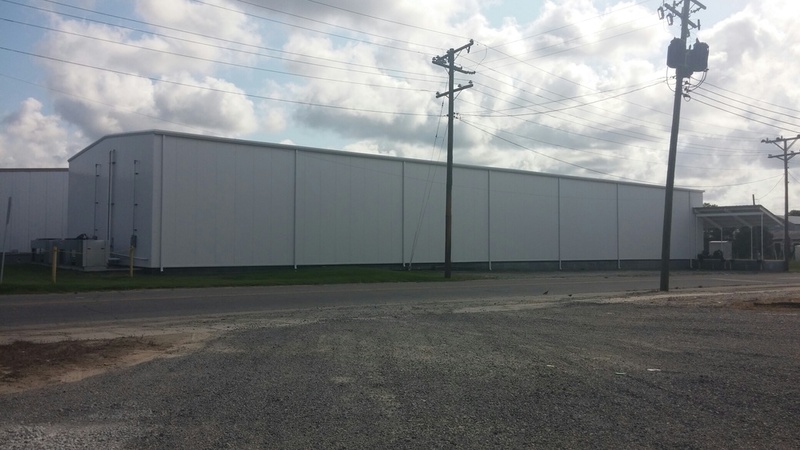 Our PEMB division recently completed renovations for Nasemond Cold Storage at 190 County Road in Suffolk, VA. All panels were removed from the existing metal building and replaced with new 4” insulated panels on the roof and walls, new roof sheets on loading dock shelter and new interior wall liner panels. The new panels along, with the new cooling system will allow the owner to maintain a temperature of 65 degree’s to store peanuts. A. R. Chesson Construction completed to new facility for Ark Church in Nags Head NC. This structure was built by our PEMB division. The building was supplied by Kirby Building Systems. The Town of Kill Devil Hills NC intends to award Public Works Phase II project to A. R. Chesson Construction. Construction of a new fuel island for usage and storage of 22,000 gallon diesel and gasoline for KDH Town use.